For those that are mostly desk-bound, travelling for business can seem like an exciting prospect, but for those who actually do it, it can be quite mundane, disruptive to routine and oftentimes exhausting. The Westin Cape Town recognises this and has made it its mission to make business travel as seamless for its guests as possible. With its positioning on the tip of the Foreshore, the imposing building of The Westin Cape Town is a landmark as you enter the CBD. The hotel is recognisable from across the city and is aligned with the Cape Town International Convention Centre directly opposite. With the V&A Waterfront just a short distance away, the lively vibe of Bree, Loop and Long Streets perpendicular and views of the Mother City’s most famous landmark, Table Mountain, the hotel really boasts one of the best and most centrally located positionings. 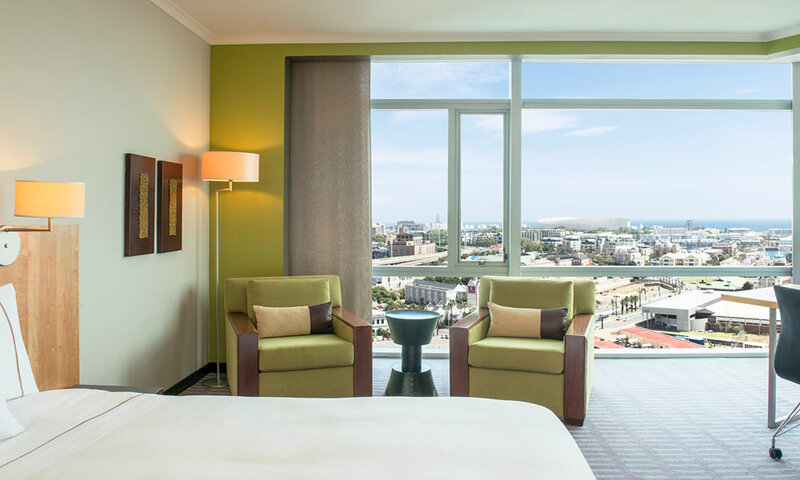 With its proximity to the CTICC and the central business district, it makes sense for the hotel to be a go-to for business travellers, and as such, is geared this way. Of course, The Westin Cape Town welcomes leisure travellers as well and is also geared for families with children. Business travel is a special area of expertise though. 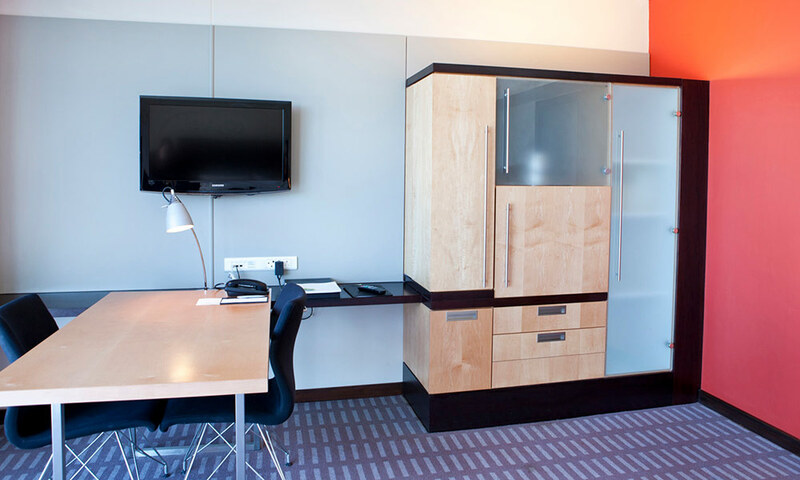 The 482-roomed hotel is comfortably appointed with special attention given to amenities for people that are likely to be working during their stay. 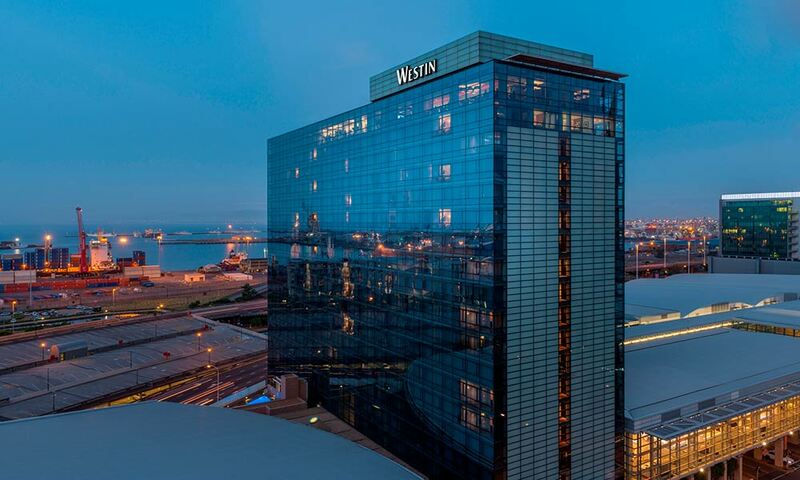 For a more private experience, opt to book into a room on the 17th floor, the Executive Suites, with the added benefit of secure, card-only accessible entrance. The room we stayed in was equipped with a business desk, which may sound like an obvious inclusion but many leisure hotels do not have this and you might find yourself working on your lap in bed, or at a dressing table. Having a proper-height desk with phone, lamp and nearby plugs and USB points makes working comfortably much more productive. Another notable addition was the inclusion of an ironing board and iron in the room. While this may seem trivial, those who travel know that clothes never come out a suitcase the way they went in. Being able to iron something yourself ahead of a meeting or busy day is often just far more convenient than having it collected and ironed for you. It’s a small plus but all of these thoughtful additions make business travel more pleasant. One of the most disruptive things about travelling, aside from living out of a suitcase, is a break in the routine of healthy eating and exercise. Business lunches or dinners and entertaining clients can be detrimental to the waistline. The Westin Cape Town has really put a great deal of effort into offering options that work to minimise this disruption. We loved their Sleep Well menu, which has been designed with the SuperfoodsRX™ concept and includes dishes that contain well-known superfoods that either boost energy, promote peaceful sleep or are designed to complement your health programme. A range of fresh juices, smoothies and light meals have been designed around this idea. After an extremely long week, we were thrilled to be able to order dishes from this menu to be enjoyed in-room. A fresh turkey wrap and a grilled chicken burger were light enough to eat before sleeping and were both tasty and filling. All work and no play makes for a sad stay but this could never be the case at The Westin Cape Town though. A full regular menu also available – we recommend the simply stunning crème brûlée, which at the end of a long week is the stuff sanity is made of. If you do want to get out of your room to dine or need to entertain clients, On19 Restaurant, located on the top floor, has an unparalleled cityscape view, which at night is breathtaking (check out their One Ingredient dinner series). 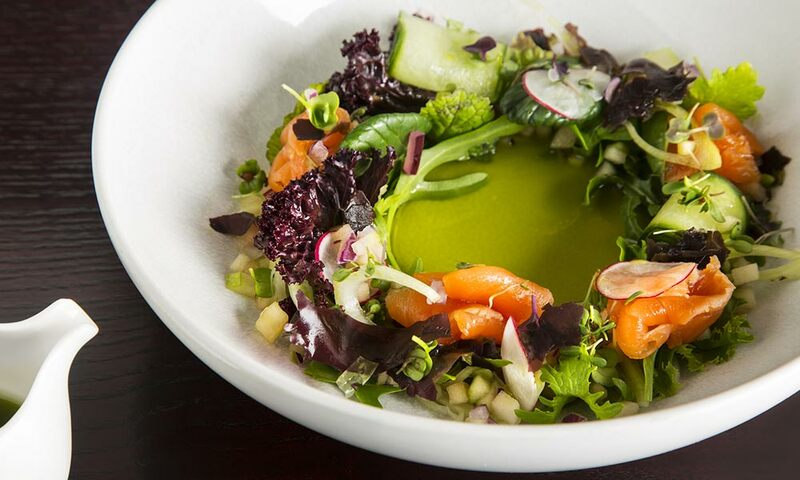 Chef, Steven Mandes has created a menu of contemporary food with creative ingredients, textures and flavours. On19 is also the location for breakfast and the spread is a sight to behold. In line with the hotel’s mission to keep you on track, there are loads of health-driven options such as a raw bar with loads of fruits, veggies, nuts and seeds, probiotics-enriched yoghurts and superfood smoothies. There are also plenty of cooked options, some indulgent treats like Flapjacks or French toast with glazed gammon and maple syrup. We loved that the cooked menu had lots of more thoughtful choices such as Congee, Honey-spiced Quinoa and Steel-cut Oats with banana and pecan nuts. 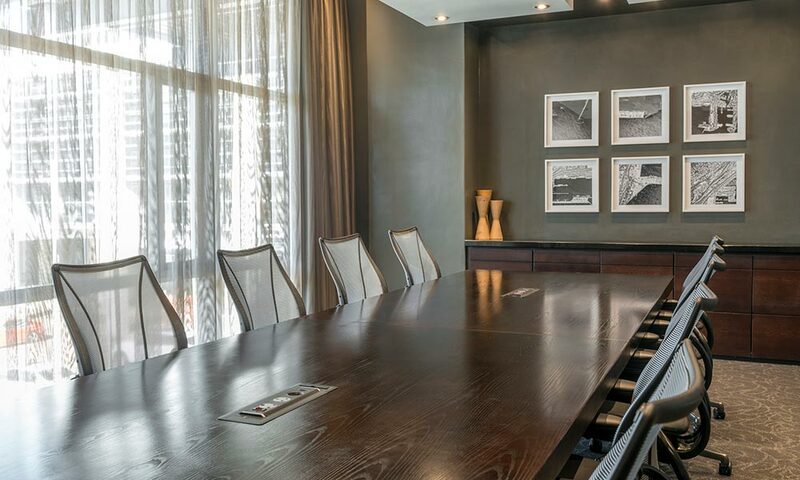 The Westin Cape Town has a number of business-orientated services, from printing from your smartphone from your room, to fully equipped conference and meeting rooms. Whether you need to connect with your team, or you just need a quiet space to catch up on work, you’ll be able to do this here with several different options available. 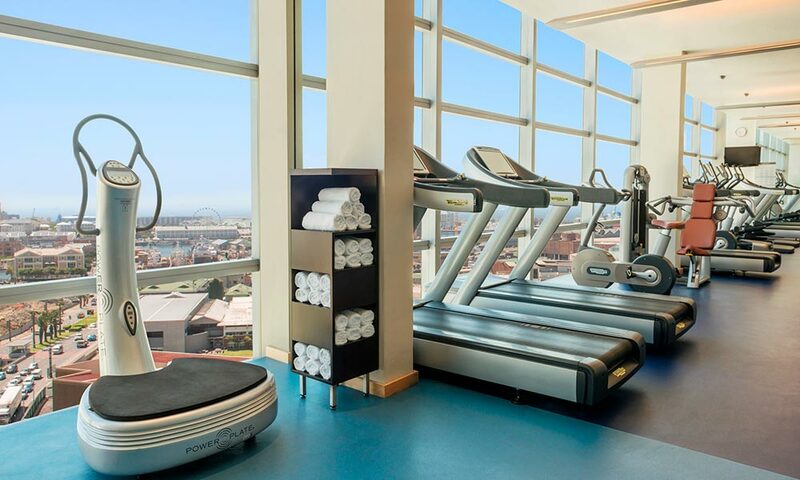 In keeping with the idea of maintaining your regular schedule, be sure to visit the fitness centre, also located on the 19th floor of The Westin Cape Town. The facility is really well equipped – you’ll get a great workout and can stay on track with your fitness plan. As you take in the bird’s eye view of the city you’ll forget how hard you’re working and how many calories you’re burning. If you’re travelling light and don’t have space for workout gear, The Westin Cape Town has a gear lend program, so you can borrow what you need. 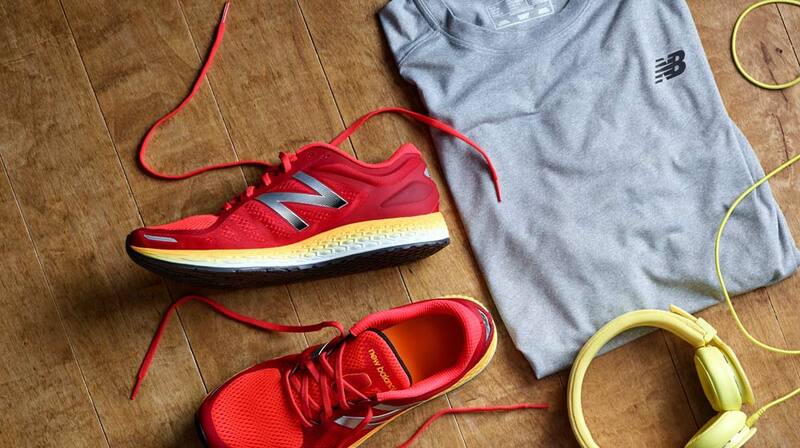 From trainers to shirts and shorts, they have you covered. If you happen to forget something behind this is an especially useful offering and a good reason not to renege on your good intentions! 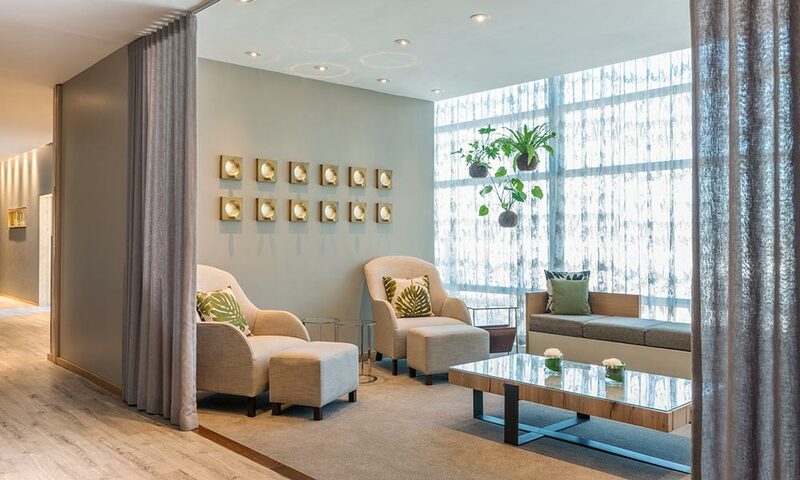 If your schedule allows, book in for a treatment at the spa – truly thepièce de résistance in keeping yourself de-stressed while you’re away from home. The spa facilities are stunning and the infinity pool, jacuzzi and sauna with the best views in Cape Town. You’ll be forgiven for putting off that budget report for just a bit! It may seem indulgent to down tools for some me-time but really if more people did it, think how much more pleasant we’d all be in our business dealings. If you have to be away, you may as well try and include a little destresser if you can. The team at The Westin Cape Town realise that you’re away from home and they make every effort to make your stay pleasant. From efficient check in and check out procedures to arranging dinner bookings and transfers. Plan your next stay in the Mother City and make it an opportunity to not only close the deal but to take care of yourself too.